Bring Out Your Dead: Foulbrood Arrives in the Student Apiary! Research Topics I’d Like to See! For beginning beekeepers, and all those interesting in the canon that is Beginning Beekeeping, welcome! But below is a nice exploration of how we can all help the honey bees, who truly do need all our help. The number one question I get at public presentations and apiary tours is: How can I help the honey bees and pollinators? 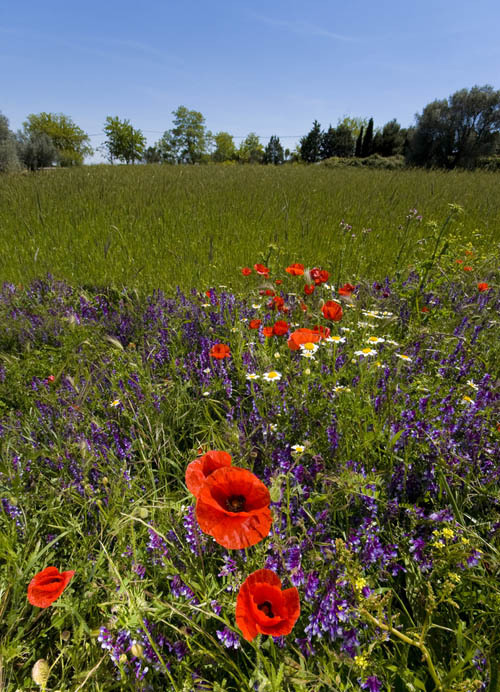 In our contemporary, disrupted landscape, all pollinators are facing considerable challenges. Many are endangered. And the pollinators are trying to tell us something: what is bad for them is bad for us too. They are sending us clear signals that we need to be better stewards of the land, of the planet, and of ourselves. Degraded and lost forage habitat. And in the case of honey bees themselves, the Varroa destructor mite is wreaking havoc. Beekeepers are important to bees principally for their role in keeping bees free, or as free as possible, from Varroa mites. In Canada at least, we have lost our feral honey bees, thanks to the predation of the Varroa mites: the stress of the Varroa on the bee colony makes overwintering pretty much impossible. This has cost us enormous portions of the honey bee gene pool, alas, and may ultimately spell the end of honey bees in our world. But what can you do to help the bees and pollinators? Plant, plant, and then plant some more! For all pollinators, food is getting hard to find. The native pollinators in particular have short flight ranges. If nectar and pollen sources are interrupted, distantly spaced, and lack floral diversity, their diets are sparse, lack good nutrition, and the long flights mean there are fewer calories to bring home. And in both our cities and our farmlands, we have made those fractured landscapes, filling them with non-floral plants like grasses and low maintenance shrubberies, and monocultures. Monocultures in particular are bad for pollinators: there is only one thing to eat, and only for a few short weeks of that crop’s bloom period. And the crop may not offer good nutrition to the pollinator: imagine having only Froot Loops to eat for the rest of your life. Monoculture fields are kept weed-free with herbicides, which kill all the plants the pollinators need, and the monocultures are kept pest free with pesticides, which kill and weaken the pollinators. And in the case of short flight range pollinators, fields of monocultures mean they cannot find enough food throughout the growing season to sustain their colony. And they die out. Lately we have heard rumblings that honey bees are actually the problem: they have long flight ranges and out-compete the native pollinators. This is poppycock of the worst kind: half-truth and misdirection. Why? Many, many of the flowers native pollinators need are NOT the ones honey bees feed on. 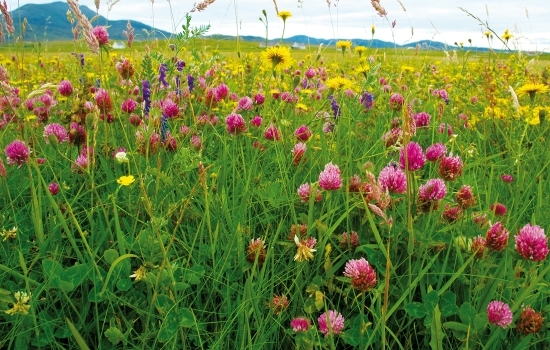 Getting rid of the honey bees does not address the lack of suitable native pollinator forage. And while it is quite true that honey bees forage over a wider range than most native pollinators, getting rid of the honey bees will not solve the problem native pollinators have, which is that their forage sources are too sparse, and too far apart, too fractured for them to fly to. Even if the honey bees are taken out of that equation, native pollinators will still starve. It is up to us to make sure the pollinators have enough to eat: we are the ones who degraded their habitat so severely that their survival in in peril. Plant as many nectar and pollen plants as you can, everywhere you can: in gardens, pots, medians, along pathways and roadways, on all land now in simple grasses (till and oversow with Pollinator Pasture instead, skip the mowing). Many of the mixes now incorporate grasses to hold the soil and complement the floral mixtures: they are quite beautiful! Here is one very thorough guide to planting for pollinators in our biozone…. Phacelia…beautiful, self sows, nectars heavily, low growing. Best succession sown. Give plants to your neighbours, plant in pathways, untended vacant land, anywhere you can tuck in a plant or two! Lobby your municipal, state/provincial governments to plant all areas now in simple grasses in pollinator friendly mixtures. Ask them to stop mowing verges and medians so the wildflowers can bloom. 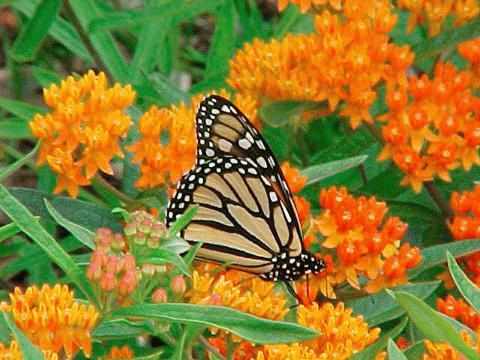 Ask them to landscape with pollinator friendly shrubs and trees. Browse through these Royal Horticultural Society planting lists! The second thing you can do to help pollinators is to go organic. Farmers use agri-sprays to reduce their labour costs, and to keep in business. But if we don’t buy what they spray, they won’t spray it anymore!!! Search for organically grown fruits, or at least non-pesticide sprayed fruits and vegetables. Pesticides aren’t just bad for the insects, insectivores (like birds and bats) and pollinators, they are bad for people, too. We don’t need them. Buy local, buy sustainable, buy organic…as much and as often as you can. That includes local raw honeys! Reduce your gasoline consumption: biofuel is used in all gasolines now, and comes from huge, pesticide-laced monoculture corn plantations. These monocultures both starve out and poison bees and pollinators. As quickly as possible we need to move to alternative, clean energy sources. Reduce your meat consumption: soybeans are the main component of most animal feed, and soybeans are grown in vast, pesticided plantations, just as biofuel corn is. Source grass-fed, free-range meats. Finally, delight in the wonder that is the natural world. Encourage and support community gardens, kid science programs, and an attitude of caring, responsible stewardship for our planet. We were given the Garden, let us make it bloom. Welcome to a page where you can send a question and I will poll my bee wizards for their wise and illuminating answers.